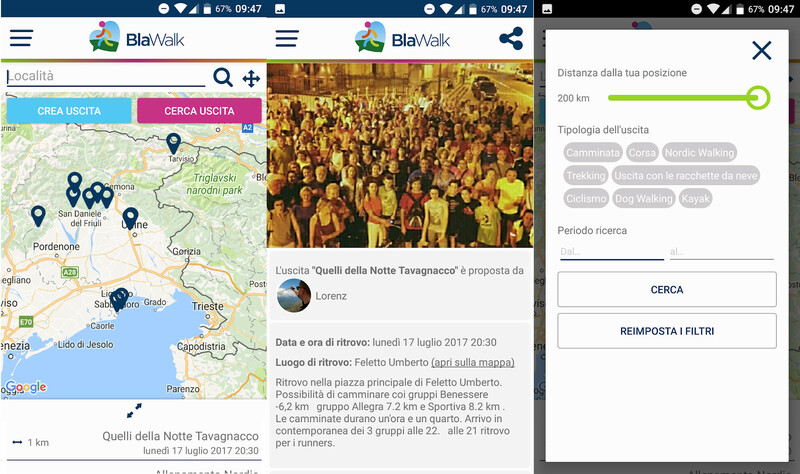 Blawalk is a community born to meet new people by walking or running together. 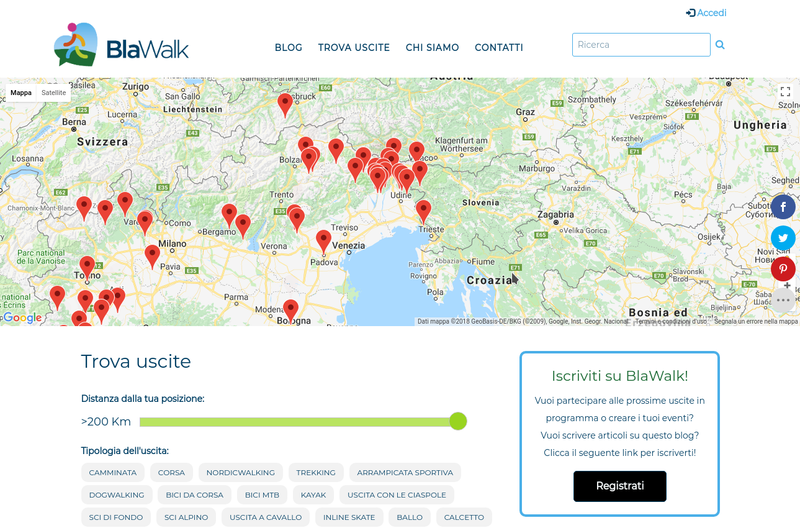 Blawalk allows you to meet new people in the open air by also doing a bit of sport. Users after signing up from apps or sites can decide whether to join an output that another user has already created, choosing the time and place or they can directly create an output. To create an output, it is sufficient to indicate the time and place of encounter, some characteristics such as duration, pace of walking or racing, possible altitude and the game is done. 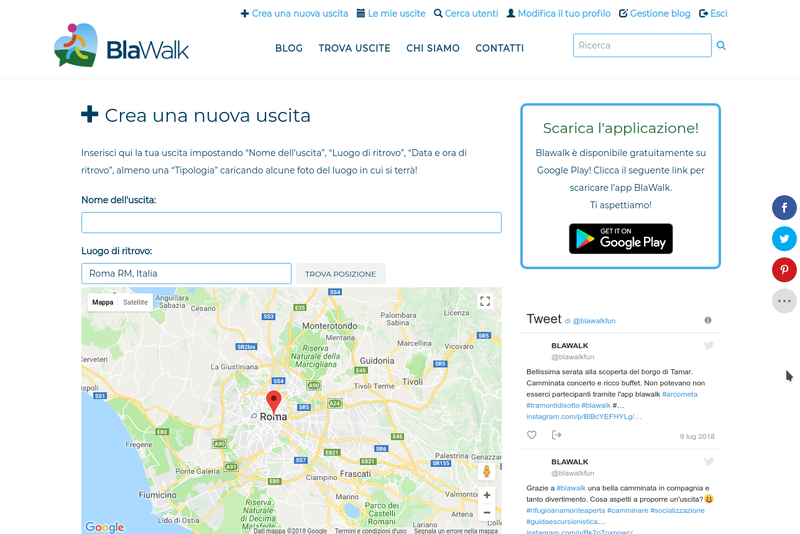 Blawalk wants to be primarily an app and a blog of people who love nature where everyone can share their passion. Every Blawalker can be a blogger as well as a blogger where he can tell his experience, describe the paths he has tried, but above all transmit passion. On the site is the link to download the app in Android version.